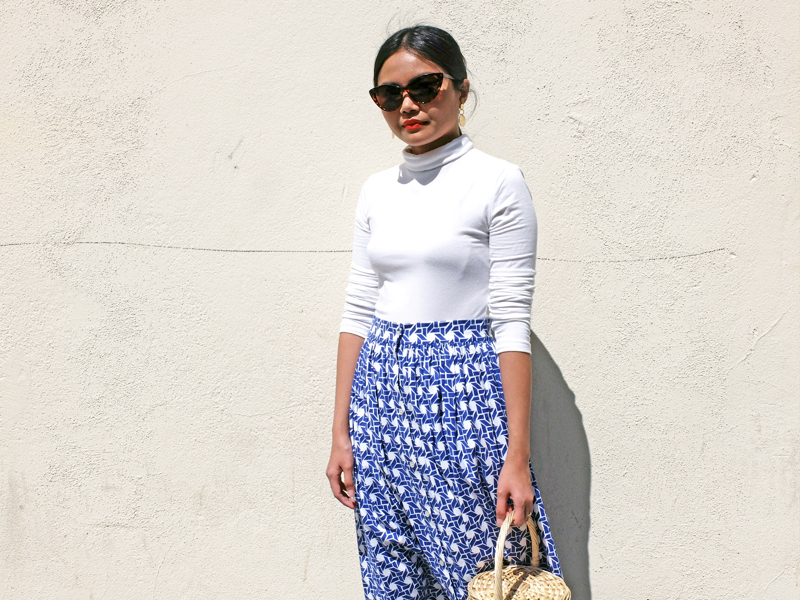 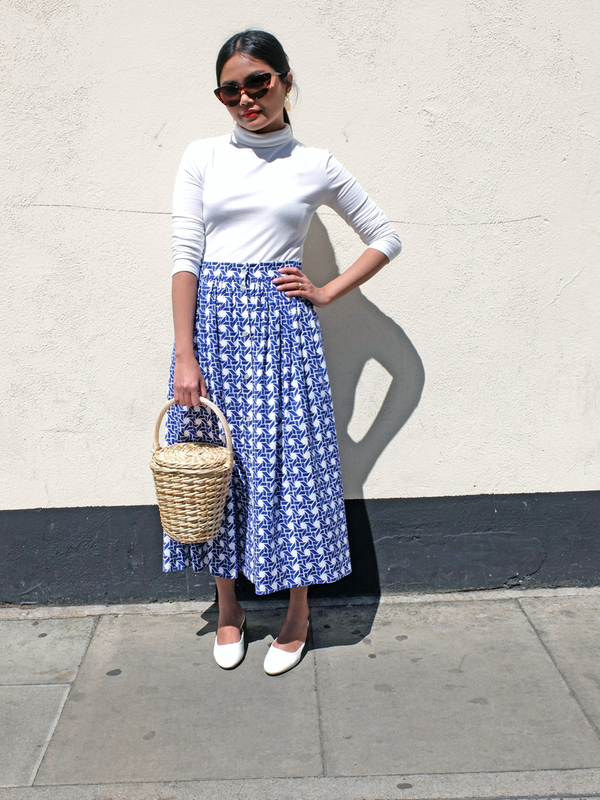 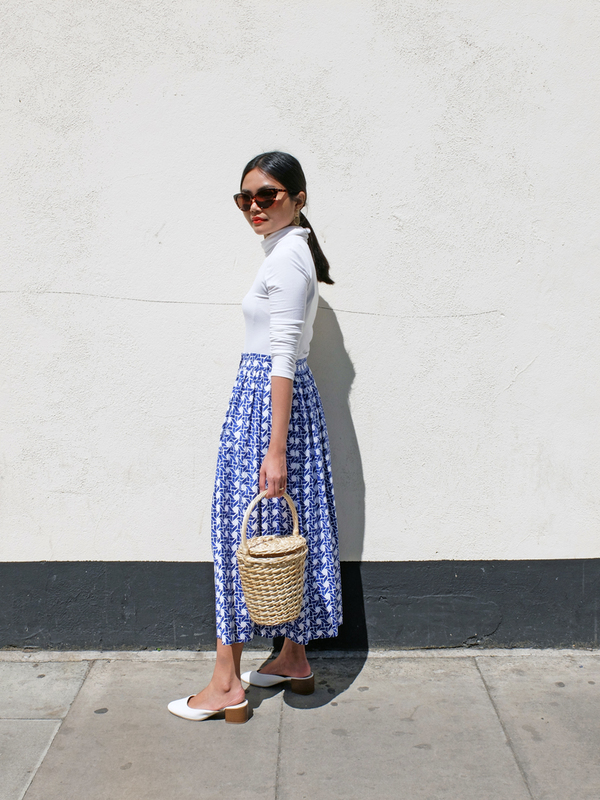 A white and blue Santorini-inspired palette plus a basket bag equals a sunny disposition. 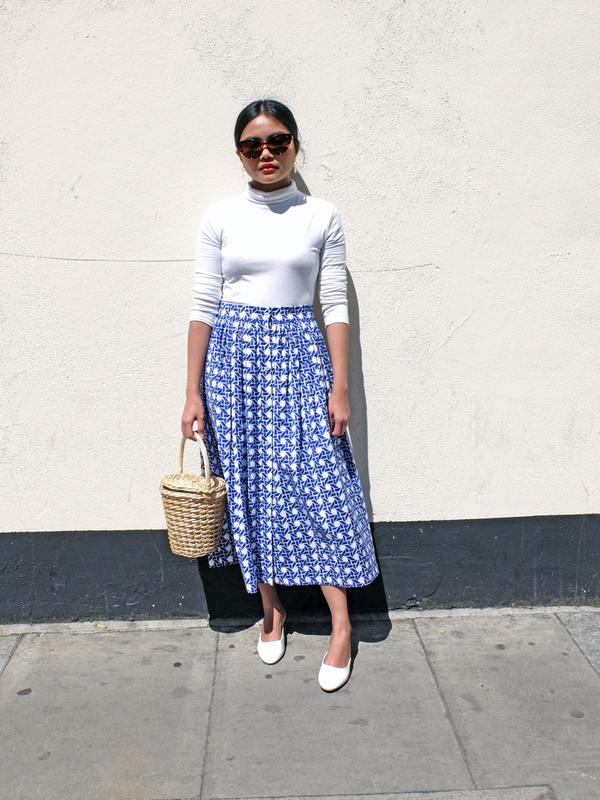 Stemming from my penchant for bold prints and perpetual love for travel, I took inspiration from the iconic white and blue domed houses of the Greek islands and paired this turtleneck with a blue printed skirt. 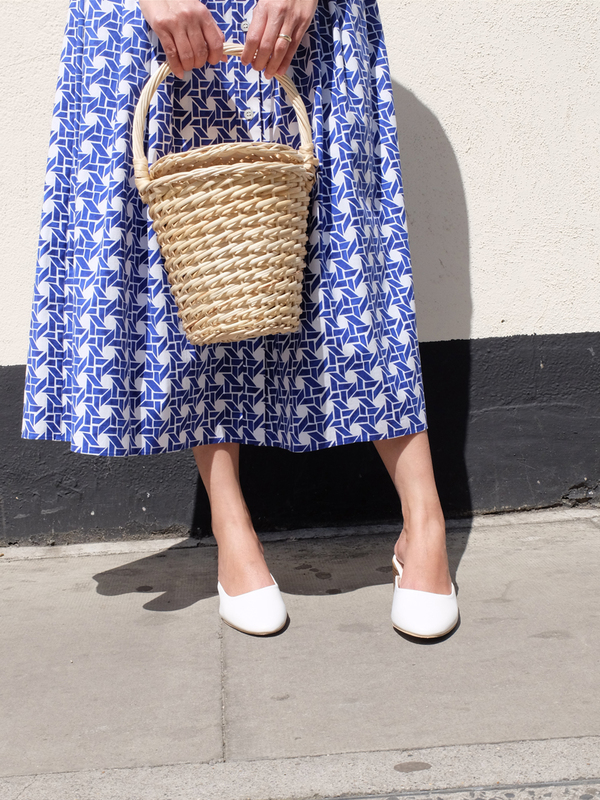 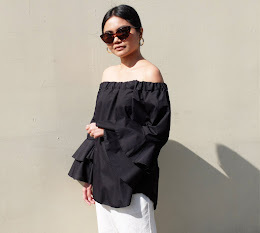 One of my best Sample Sale finds, this button-front skirt from Temperley London is fast becoming a wardrobe favourite as is this straw basket bag that I've been using all Summer long.